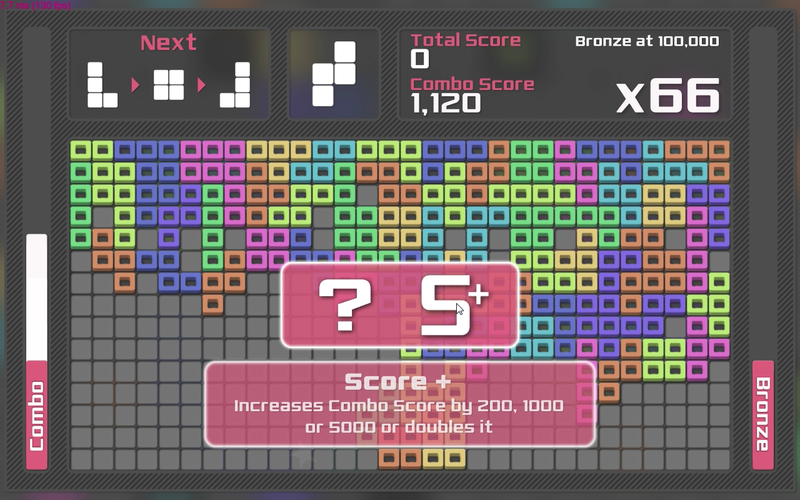 Matris is a puzzle game were you match the tetromino pieces into a Combos. 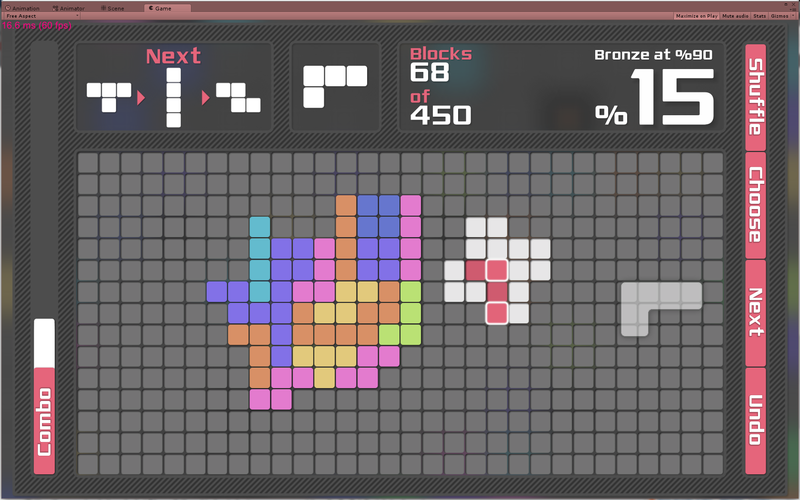 Tetromino are pieces made out of 4 squares. In Combo Mode you need to metch them in such way so the next piece touches previous one. This way they make a chain of pieces - Combo. 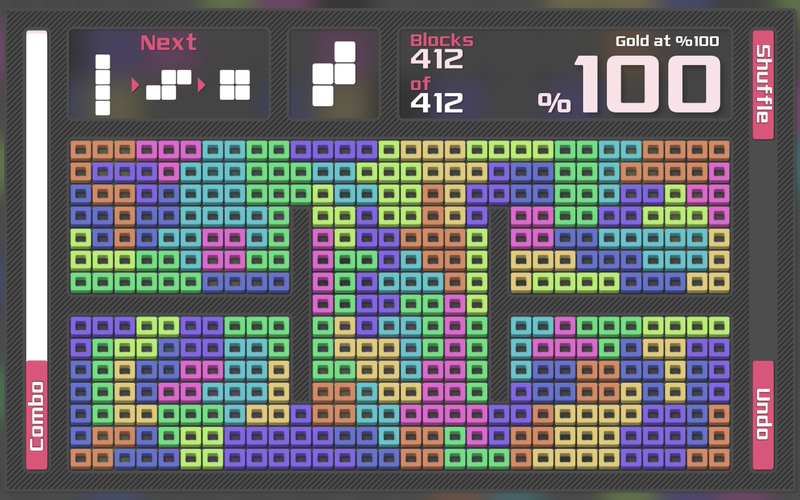 If the blocks from these pieces form a line of at least 10 blocks there's an extra score bonus. Speaking about the bonuses, there is aditional bonus available every each 5 pieces placed on the board. If you place the piece over the bonus star you got to choose extra bonus. But watch out! It can be very good or very bad, and once you get it you have to use it. There are 2 options to choose, but one of them is unknown most of the time. Score enough total score to win bronze, silver or gold medal! Second game mode is Fill Mode. There's no rush here, no time limits and no restrictions about pieces placing. You just have to match the pieces to cover as much of the board as possible. There are also Time Attack and Free Play where you can fight for the highest score in a global Leaderboard. 20 levels available in all game modes. Oh my gosh, you have such an amazing talent! This is both very fun and adorable looking! I can't imagine how much work you've put in this! To put it simply, I am amazed! Good job!